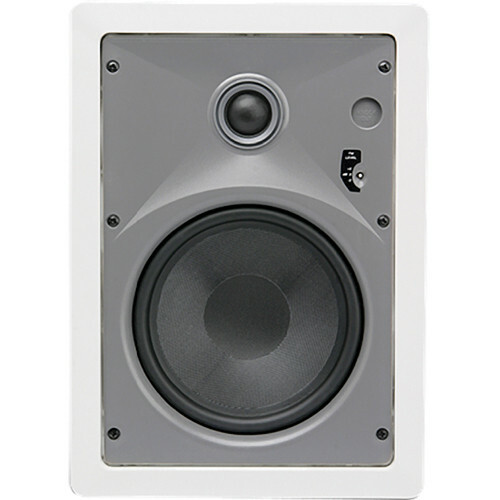 The Atlas Sound CT625W 6.5" 2-Way 60W RMS In-Wall Speaker is designed for installed sound applications as part of the MTX blueprint in-wall speaker line. The speaker features a pivoting 25mm cloth dome tweeter for the treble and a spun glass fiber woofer for the bass. It can handle 60 W RMS and 120 W peak power. Its imaging and accuracy make it especially well suited for home theater and other dedicated listening environments.